A rare interview with Cornerstone Macro’s Investment Strategist, François Trahan, who has once again been named the number one ranked strategist on Wall Street by Institutional Investor magazine, as he has been for eight of the last ten years. Trahan has been a stock market bull since the fall of 2011, Still Bullish when the recovery and the markets looked very dicey. Since then he has stuck to his guns and the market has proven him right. What’s his view now? Despite faltering growth in much of the world, rising geopolitical risks and the U.S. stock markets regularly flirting with record highs, he says the U.S. bull market still has several years to run. He’ll explain why. This week we have a rare interview with Wall Street’s number one investment strategist, Francois Trahan of Cornerstone Macro. Trahan was just voted to the top spot for the 8th time in 10 years by institutional investors, who are surveyed annually by Institutional Investor magazine. It is a coveted recognition. The reason I am so enthusiastic about having him on this week is because the bears are starting to come out in force and he is long term bullish, and I mean really bullish, even in the face of recent events. (He turned positive on the U.S. market in 2011, a very good call.) As he told me, the world’s problems i.e., Europe’s and China’s are America’s opportunities. While just about everyone else is wringing their hands about Europe, Germany’s industrial production just suffered a big decline, Trahan says the Eurozone’s woes are keeping interest rates low and that’s helping the U.S. consumer. As he points out, we are a massively consumer driven economy. China’s slowdown is depressing commodity prices, another big plus for the American economy and consumer. U.S crude, measured by West Texas Intermediate oil just entered a bear market today with a 20% decline from its June peak. After a big rally earlier this week, the markets reversed direction on global growth worries on Thursday. 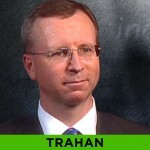 Trahan has been predicting we will hit a soft patch this quarter with some challenging economic data that will rattle the markets. It’s happening already. He views downside volatility as an entry point and likens the current situation to 1996 when Alan Greenspan’s made his famous “irrational exuberance” remarks. A whopper of a four year bull market followed. I don’t want to spoil the interview for you, but if you want to hear the other side, the bullish U.S. market case, this is the WEALTHTRACK for you. 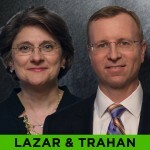 If you missed last week’s interview with leading economist Nancy Lazar, Trahan’s co-founder and partner at Cornerstone Macro you can see it on our website, www.wealthtrack.com . 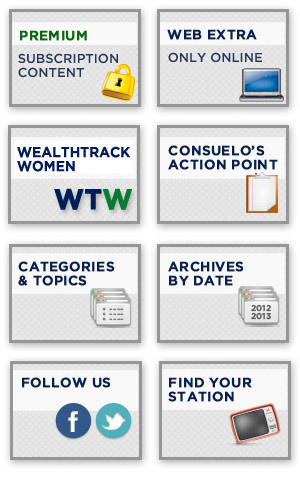 For those of you who would like to see our program 48 hours in advance of broadcast, you can subscribe to our WEALTHTRACK PREMIUMsubscription service on the website. Enjoy your weekend and make the week ahead a profitable and productive one. In 2013 Wall Street’s number one ranked investment strategist, François Trahan joined several other former colleagues to launch Cornerstone Macro, a new investment firm specializing in macroeconomics, investment strategy and political research. 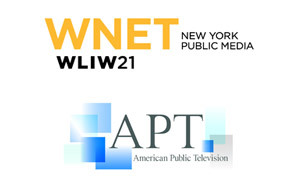 In a rare television interview we asked Trahan about the best part of starting a new firm.